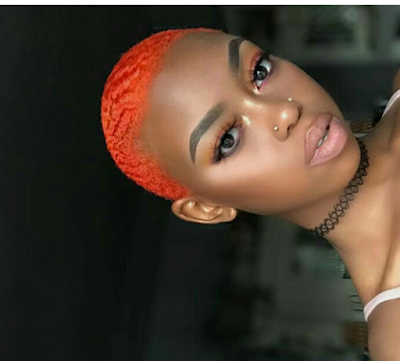 HAIR TINT/DYE IDEAS FOR BLACK WOMEN (PHOTOS) - BlogIT with OLIVIA!!! Life’s certainly not mellow when it comes to yellow! Let yellow hair dye drop a ray of sunshine into your style. If you’re as bright as a buttercup or as delightful as a daffodil then yellow is certainly a color for you! As well as subtle yellow blondes, so many people try and get yellow hair as a way of standing out from the rest. Unleash your fun and loud personality with a delectable dose of bright yellow dye! When it comes to dyeing hair yellow you should always consider your complexion and skin tone before deciding on the perfect shade. A quick application of a gel or chalk can help you see if you like the color. We’ll say it every time, but before you go onto the semi-permanent hair dyes, make sure to perform a dye patch test! Seeking for a saasy yet subtle and stylish hair color for a dark tone, checking into purple hair paint won't be a bad idea. 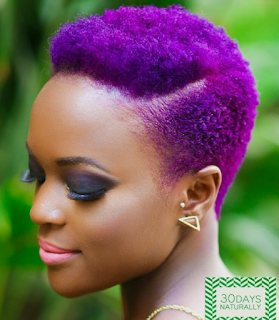 The purple paint on your haircut would give your face sharp features and accentuate your looks. If the hue didn't go right down to the base, the base would keep the hairstyle grounded so that you won't stick out like a sore thumb. It accents your look and lets your face shine. 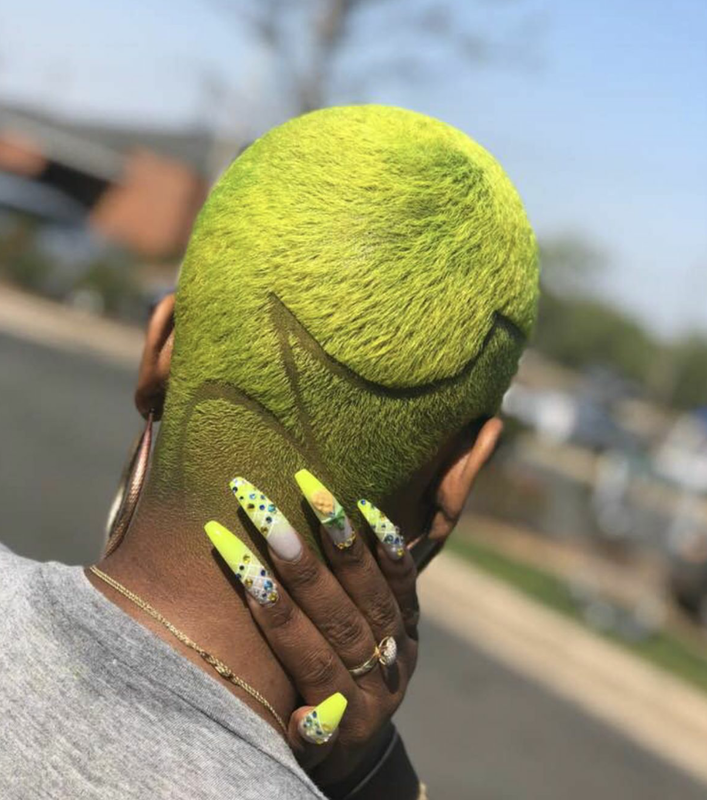 In a time where pastel hair colors are just about everywhere, you might still be wondering if you can get away with something a bit more out there, like green hair. While green hair is often associated with grunge girls, it’s actually a hair color that anyone can pull off—if you find the right shade. 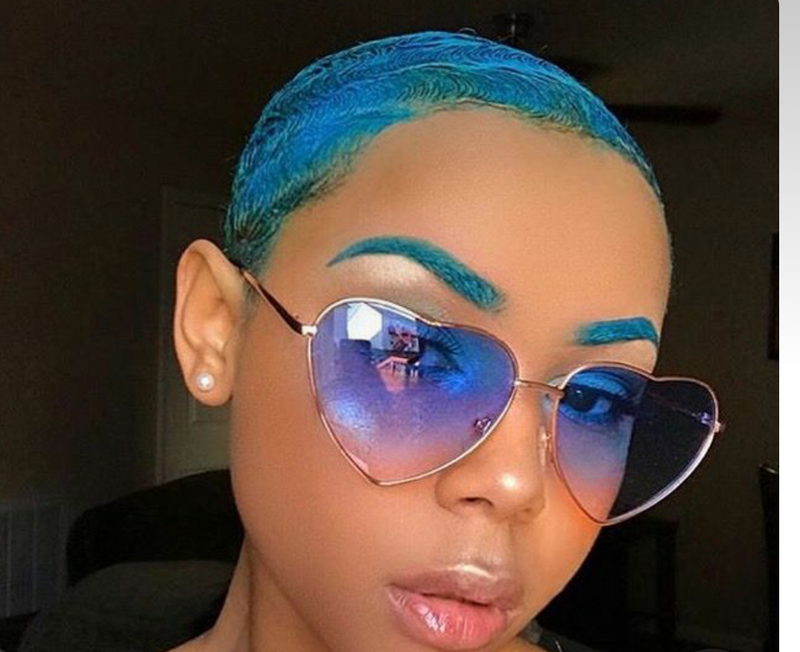 Finding the right shade for your skin tone can be a bit exhausting and very few women would be daring enough to try just any green color, keep on it until they find the right hue. Most of us dị not have that talent or would think of exercising such patience. It's hard work I guess. But if your hair stylist follows up on trend, then I bet choosing the right hair hue for you might be less tasking. The reason is that they have other clients as well and they might be able to guess the right color for you based on how many customers with the same tone as you. If you want an elegant and something a little bit intense, then you'd want to try dark blue hue. It could be dark blue or a lighter blue. A muted shade of blue adds a touch of uniqueness for women who want their style to be sophisticated and a lot cooler. If you feel confident enough, then rock the solid dark blue hue and keep in mind to choose a color that you can commit to too. It's a lot of fun when you play with a color you'd be comfortable in. If you want your style to be a little more dramatic and playful, the Red dye is a strong, vibrant color that adds a lot of character to your look. Ranging from scarlet, light red, red wine, dark red and bright red color go well with all dark skin type. The darker the skin tone, the more intense the shade so you'd feel at ease opting for red hue for your hair. You can let your red hair color shine more by highlighting your luscious locks if your hair is locked. Red is the perfect accent color if you're seeking the spotlight. At the same time, allowing the red hue to start from the base anchors the look, and helps the red sparkle. Pink hair color is the go-to choice of today’s trendsetters. Pink is the at the top of the list for feminine colors and is always a stylish choice. Take a peek! A permed pink hairdo is an everyday choice for black women who love to set the pace with their hairstyle. You can't get lost in the crowd as you would be spotted easily, thanks to pink hue. 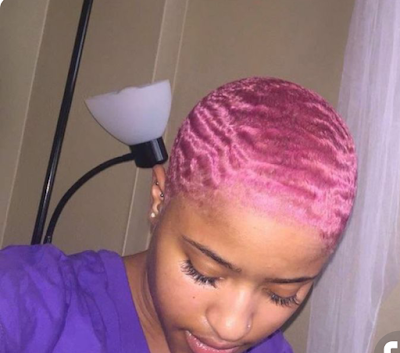 With pink paint on a short hairstyle, you can comfortably look amazing and beautiful. If pink is your thing, which I believe is every woman's thing, then you should be bold to go for it. 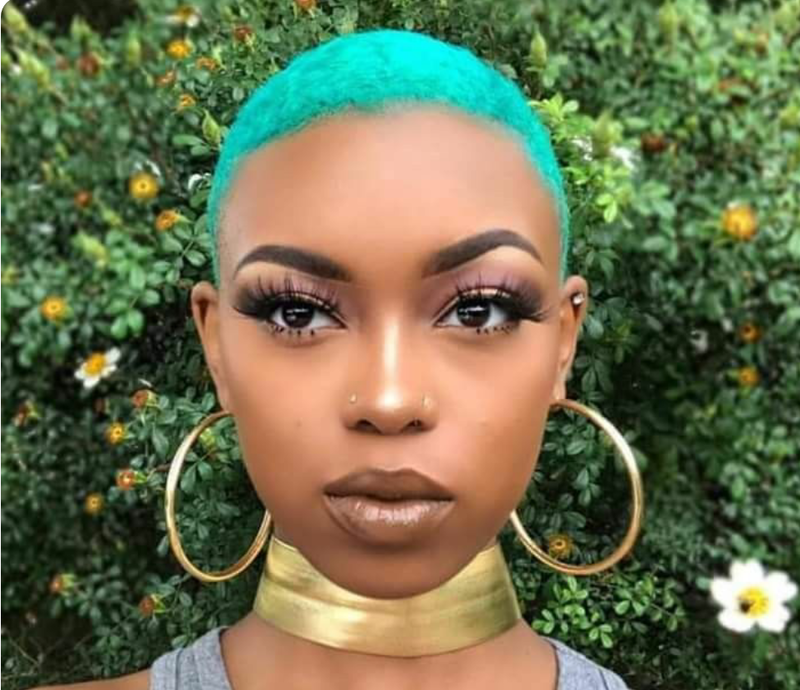 It’s no secret that ladies want to stand out, and what better way to do that by coloring your hair into a beautiful, flattering color that complements your natural dark skin. Your skin tone is an asset, and you should flaunt all of your assets and emphasize them with the right hair color. It plays out well when you accessorize your hairstyle with to match color. It can be a piece of jewelry, sunshade or any other accessory that would pronounce your fashion sense more. 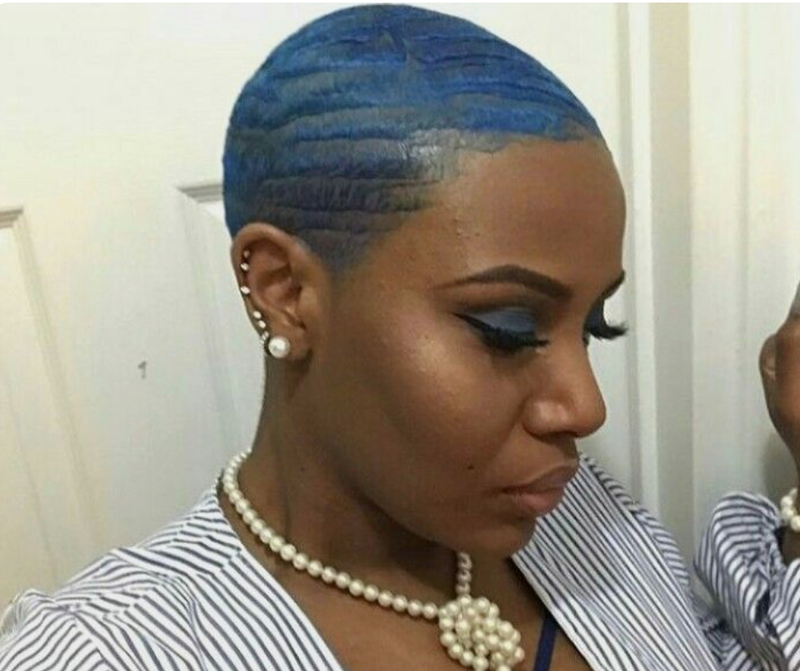 A lot of dark-skinned women love to be bold with colors, daring and feel confident all the time. If you've never thought about this beautiful hue on your short hairstyle, maybe it's high time you've to give it a shot.